Do we really need paramedics on Ambulances? Well, since I am back, I thought I might cause a little controversy discussion. Or maybe not, who knows…. It appears that one of the constants in the EMS world wide is the question of what is the best skill set for responders to a 999/911 call? Along with this comes the whole ALS/BLS discussion, and as far as I can tell there has never been a definitive answer either way, although many of us have our own thoughts. When I started in the Ambulance service in 2000, there had been a particularily long drought as far as paramedic training in my service area. It was far more common to have an advanced technician crew (EMT – I) than have a paramedic crew. In fact, it got to the point that the wording on the side of the Ambulances changed from ‘Paramedic Ambulance’ to ‘Emergency Ambulance’ as when a ‘Paramedic Ambulance’ turned up on scene, the patient and their family quite rightly expected a paramedic. Times have moved on however, and skill sets and grades of staff have also changed. We no longer train ‘Advanced Technicians’. We still have some on front line duties, but that rank of staff has now been changed to our ‘Emergency Care Support Worker’ colleagues who are as far as I can tell are the equivalent of an EMT Basic. When the role was first developed, there was alot of opposition to it. So much so that I would have hated to have been one of the poor souls that were in the first few cohorts of training. There were shouts of the role not being fit for purpose and there were objections from many paramedics that this new role would result in them having to be in the back with the patient for every job instead of doing ‘job and job about’ with their advanced technician or paramedic partner. There were other, more legitimate concerns though, and these are the ones that I also agreed with, but over time (the last 2-3 years), the role has become imbedded in the service and the amount of experience our ECSWs have now had, makes them more than capable of providing great support to the paramedic that they are working with. There are moves afoot, to increase their level of training to have them almost at the level of what the advanced technician used to be, and we are all waiting with baited breath to see what the outcome of all the consultations are on that one. But all of this is just a pre-amble and a bit of history before I get to the main question that I want to ask…. 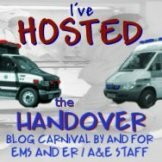 Does every ambulance need a paramedic on it? I don’t think that every patient needs a paramedic staffed ambulance. I do, however believe that every patient deserves an assessment from a paramedic. That may sound a bit of a contradiction but there is a suggestion that the UK ambulance services could adopt a formula of response which could actually achieve this. If you are a paramedic, then you will be working on a car, by yourself. The ambulances will be staffed by a double ECSW crew, or an ECSW and a ‘new grade technician (if that rule becomes a reality). The paramedics on the car will be sent to all 999 calls, and depending on the severity of the patient’s condition at telephone triage, a crew will also be sent, or will be allocated once the paramedic has arrived on scene and has assessed the patient and determined the most appropriate response. That may be no response, travel by own car, travel in the Rapid Response Car, travel in Ambulance or refer onto an alternative pathway of care. If the patient then requires medical interventions or a level of care higher than that of the responding BLS ambulance crew, then the paramedic will travel with the patient to hospital whilst one of the other members of the team drives the RR car. I do this already, and it works. If I am sent to a patient who requires transport to A&E but does not require a paramedic level of care, then I will ask for an ‘urgent crew’ to transport the patient. If however, I am with a poorly patient and the only backup available to me is an urgent crew or a double ECSW crew, then I will just jump in the back. Im sure there are many others around the country and world who also already do this too. Then there is the question of the amount of ‘emergencies’ that we actually attend which require the advanced skills of a paramedic. As we all know, these are by far the rarest of the incidents that we attend, and the most common are the ones which don’t require an emergency response and usually don’t even really need a trip to hospital. If that’s the case, then why not keep the paramedics for the jobs that they are really needed for? This is where the understanding and the change in focus for modern day paramedics comes in. I have written previously about if intervention or assessment is the most important skill set for a paramedic to work with. (here and here) Both are essential, but in the every decreasing percentage volume of genuine medical emergencies, our primary route for assisting the patient is rapidly becoming the appropriate assessment/advice and referral onwards. It then follows, that this is the reason that paramedics need to attend ALL categories of emergencies. A service would be leaving its litigation doors wide open if it allowed its lesser trained members of the healthcare team to assess and advise the public about their minor illnesses or ailments. The only alternative would be the default position of all patients who are seen by a member of ambulance staff who isn’t a paramedic, get transported to hospital, which is precisely what we are trying to avoid. I give you this picture, as I want to have a bit of a discussion. This is only one suggestion of many that seems to be doing the rounds of the rumour mill. In this time of cost efficiency savings and having to really pull in the purse strings, could we not take it as an opportunity to become both more cost effective and provide a better service for our patients. That may sound like an oxymoron, but I can see the potential. What about you?? « A twinkle of an eye tinged with sadness.. I think it’s likely to happen. Your system in NEAS seems to work well and must reduce ambulance transports and probably A&E attendance. I’d rather stay working on an ambulance, I enjoy working with someone else rather than on my own. But I accept I’ll end up on a car eventually. Paramedics will need a lot more training in assessment than they get now, and many will need a lot of encouragement to refer on rather than just take into A&E. I’d rather see more paramedic/tech (or ECA) crewed ambulances. That way the patient gets the complete package without waiting. For cost reasons it is unlikely to happen though, far cheaper to have relatively few paramedics on cars and cheap ECAs on ambulances. Out of interest, what support would you get from your service if you didn’t travel with a crew and the patient unexpectedly deteriorated en-route? It would be the same as if I left someone at home and they deteriorated afterwards. That doesnt mean I had left them inappropriately, and I have written about this in the past too. Sometimes bad things happen to good people and they may well present with absolutely no concerning findings on examination but may well suddenly deteriortate after leaving scene. It may even be as a result of an unrelated condition. If this were to happen, my PRF would be pulled and I would probably be asked in for a clinical review. If my PRF was full and complete and showed a thorough assessment with no findings that could have pointed to a more serious underlying condition, AT THE TIME OF ASSESMENT (not meant to shout, just cant do italics in the comment box!) , then I am comfident that my service would support my clinical decision. Same would go for handing off care to an Urgent/ECSW crew. They started moving that way down here before the whole ECSW thing – double tech vans with paramedics on cars. It’s an excellent idea – get the paramedics there quickly, safely and cheaply to do the initial assessments while the van gets rolling, which can always be stood down. Then the patient gets ALS quicker if they need it while the ambulance in en route, treatment that means they can stay at home without the need to summon an ambulance to bring them a paramedic to do that (especially with PPs/ECPs), or even diverted to an alternative care pathway because the paramedic can assess that. It also frees up the tech crews to deal with non-ALS, but still critical, jobs without tying them up to carry the bags for a paramedic to give leave-at-home treatment. b) What percentage of jobs is that, compared to ones which a single paramedic (especially now you’re being upskilled in terms of assessments and referrals) could deal with. As in, which approach “does the most for the most”? The other is how the ECSW/AP thing affects this. The issue here is that, as far as I’m aware, the ECSW cannot have clinical responsibility – they need an EMT/para on board to be in charge of the patient. So a double ECSW crew will always end up transporting with a paramedic in the back, and one of the ECSWs driving the car in. Is this a better use of resources (especially considering long normal-road-conditions transports in the north) than having a paramedic and an ECSW on an ambulance? It would need some serious stats analysis to see which is delivering best patient care and/or is more cost effective. We already run double ECSW crews for doctors urgents. In the case of transporting a patient that I have assessed,it is my clinical responsibility to determine the patient safe for transport by the ECSW crew. In this case, for me to be happy would mean that the patient needed no monitoring and no intervention, merely transport to the hospital. This seems to work in the UK… now why can’t we get with it in the US? I love the ideas in #CoEMS and #EMS2.0, how can I bring them to my service? Until services can get income if they take the patient to the hospital or not, i.e. get paid for actually assessing and treating a patient or referring them on other than just defaulting to the ER, then it will always be a very steep uphill battle. Mark – very thought provoking as usual. As a technician currently working through the Open Uni route to a paramedic status this really hits home at the moves here in the UK to upskill the paramedic role. In the perfect world of the planning model I guess that the car with the paramedic and the ambulance with the ECSW’s arrive at basically the same time. All good stuff. Pete the paramedic assesses the pt, decides she needs hospital for that nasty chest/uti to be looked at but isn’t going to snuff it in the next hour or so, hands off to the crew and clears for the next call. If the pt arrests on the way in your paperwork better be good but this is just the same as if you tell the pt to see their gp in the morning or refer on to an out of hours provider. Those scoop and run calls should work just the same – if your backup is close behind. The problems start when either crew is left on scene for a while – the paramedic may have a poorly patient to look after on their own, the ecsw crew may have to make a decision o transport without backup. As in most things it comes down to the resource balance. If the service you work for looks at it in a balanced way, gives extra training and has the resource to ensure excellent patient care at a cost that can be borne all will be well. I had the same thought as Nickopotamus – it’s probably fine in the urban setting but in rural areas I suspect you still need the paramedic with a bus rather than a car. But isn’t it – or shouldn’t it be – linked to this 111 trial too? 111 seems to be a rehash of NHS24 in Scotland where they can hand over to 999 if they think it is appropriate and, in fact, the call handlers in at least one centre have been joined by the local 999 service. A similar system was standard in Germany when I lived there 20-odd years ago – OOH calls went to a triage centre and they made the decision who was suitable. If appropriate and you had your own transport, you could go to the OOH doctor at his surgery, if not he came to you or you got an ambo, with the Notarzt (emergency doctor) in a car for an emergency. Since you got a bill to send for reimbursement by the fundholder (only if you had private insurance) people did think a bit before calling and it didn’t seem abused. I emphasise though, that everybody is covered at no extra cost to themselves, just like the NHS, but you can have fancier cover for hospital stays and some outpatient stuff so it’s not like the USA private insurance. I refuse to call the NHS free cover – we do pay for it! On a slightly different note – my daughter used to work for NHS24 in Scotland and it did function rather better than NHSDirect. The call takers had direct access to a nurse where needed (in the same room, put your hand up) so the nurses did nursing things and the call takers who were paid rather less did the basic triage and allocated the calls over to the right place. And as I said – they could make the decision to send an ambo if needed. Her husband works 999 and my other daughter is a paramedic in England – so I have heard almost all sides of this argument!!! Im agree with you just in some aspects. Im Advanced Paramedic and in my experience if he is correct that is sent a medical car to evaluate if the medical condition of the patient needs a transport to the hospital. But the problem comes when the patient requires urgent transfer to a hospital by conditions such comoun cardiac arrest or a coronary syndrome in which the every second count, even though receives ACLS attention on the part of the Paramedic (only one). The consideration of a terrestrial or aeromedical transportation, is a point to consider. I believe that the ideal is that the technicians of the ambulance, was enabled like EMT-B or Intermediate, with training to in line provide maneuvers with medical attention outpost with medical control (receiving instructions of a certificate medicine doctor by telephone). In a hospital in México we established this system in the prehospital health service and I work very well. The EMT-B / Int. were trained in some abilities to only practice ALS with strict medical control in line, and the Paramedics was available in a special ambulance to respond to the medical attention of patients who really needed ALS maneuvers provide by a certificate paramedic,(for example the coronary syndromes or cardiac and respiratory arrests). Greetings, Edgar Morán / EMT-P / Flight Medic. It’s an interesting concept that would likely work very well in your system, but less so in the US. The foundation of EMS here is the expectation of transport to an Emergency Department. Just to be clear, I’m talking about 9-1-1 calls ,not non emergency transfers. Which is a good topic for a future post, but I’ll not pursue here. Studies in the US have shown that paramedics are very poor at determining if patients will required admission to the hospital. Which is not the same as determining if a patient needs to go via ALS or BLS ambulance. Even at that, not every call requires a paramedic to assess, as many “emergency” calls really aren’t emergencies and many aren’t even urgent. EMS is a victim of it’s own success in telling people “When in doubt, call 9-1-1.” As a result we spend a lot of time and effort sending ambulances to people who need cabs. Unfortunately the politicians won’t set the conditions where people will only call 9-1-1 for emergencies. As a result, when a 9-1-1 ambulance is dispatched, we are expected to transport unless the purported patient decides otherwise. One solution would be to improve the education of BLS level providers substantially, especially in the A&P and Assessment portions of the curriculum. Sadly many lobbying organizations that claim to want to improve EMS only what to improve EMS if it can be done at no additional cost in training or salaries. For the foreseeable future we will not see major changes to how we run EMS in this country. We will continue to over respond to most calls (nationwide), continue to have too many paramedics, many of whom are really EMTs who can start IVs and push drugs, but not really know what they are doing or why, and let the fire service dominate EMS delivery with an incredibly inefficient model that is designed not to save lives, but to save fire fighter jobs. I’m intrigued with Wake County which sends an ALS ambulance to all patients and an advanced practice paramedic to some critical calls. You get the best of both worlds. On the one hand EVERY critical patient gets ALS care, and on the other hand a subset of critical patients gets a higher quality of ALS care. I agree Mark, I think this will be the future model for the ambulance service and see no reason why it couldnt work. The ECSW role has been criticized, but has that criticism been justified? The original Millar Report recommended 4 weeks clinical training, ECSW’S do 5 weeks clinical training only 1 short of the later revised Ad Tech course and only 3 weeks short of the post 2000 revised Ad Tech course. So we are talking a shortfall of less than a months training between the grades. If this shortfall of training was considered to be a risk to optimum patient care. Then all pre 2000 Ad Techs would need to complete a further 2 weeks training and of course it opens a huge can of worms concerning the IHCD trained paramedics who trained for 10 weeks compared to the university paramedics who train for either 2 or three years.I think many will agree that the length of time you sit in a classroom isn’t important. Its the quality of the training and the quality of the student that counts. In the NEAS we have top class paramedics and Ad Techs who have developed and enhanced their skills through experience as much as training and ECSW’s are no different. As you point out, many now have 2 to 3 years experience and if they have been fortunate enough to have had a paramedic or Ad Tech willing to coach and develop their skills. Then there is no reason why they couldn’t work as a double crew and transport a patient to hospital that a paramedic has assessed and deemed safe to be transported without the need for paramedic intervention. After all, they have been doing it now for some time when you consider “urgents” who have often been assessed over the phone sometimes by the G.P. and turn out to be much more poorly than many of the so called emergency jobs we get and so far i’ve never heard of any problems.